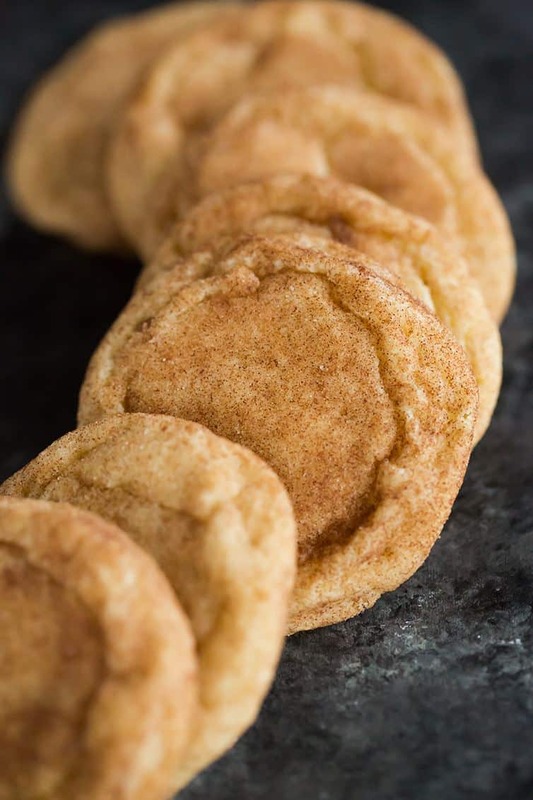 This is the BEST snickerdoodle recipe you’ll ever find! Slightly thick, super chewy, and loaded with cinnamon-sugar… a holiday classic! Snickerdoodles are one of THE quintessential holiday cookies. Every Christmas cookie plate deserves to have a spot reserved for these slightly tangy, cinnamon-sugar laden classic cookies. 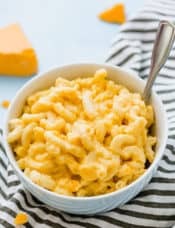 Most recipes out there are pretty standard, and I made a version years ago that was pretty good, but I felt like there was room for improvement to take them to next-level great. 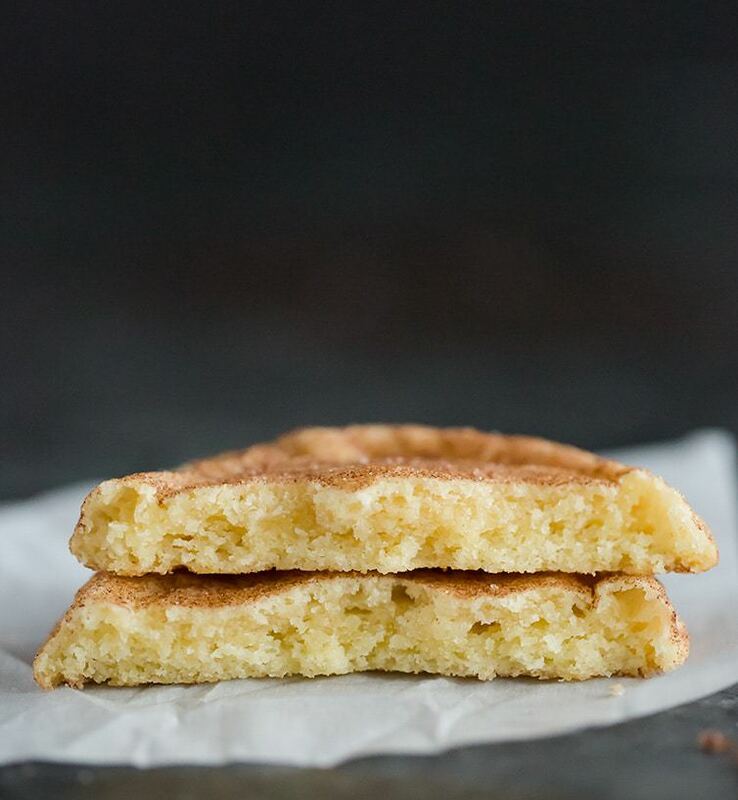 Say hello to my new, all-time favorite snickerdoodle recipe. The very best of the best. With only a few tiny tweaks to the ingredients, the cookies went from pretty good to oh-my-gosh-I-might-eat-them-all. Success! 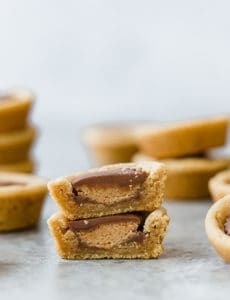 I am an unabashed lover of chewy cookies; do not come to me with crisp, crunchy cookies unless they are biscotti or pizzelle. I will skip dessert before I eat a crunchy cookie, so it goes without saying that these are super chewy snickerdoodles. I began researching new snickerdoodle recipes a month or so ago and many of the recipes I found had very similar ingredient ratios, but when I checked out Cook’s Illustrated, I saw one major difference that I hadn’t seen in other recipes… instead of using only butter, half of the butter was replaced with shortening. AHA! 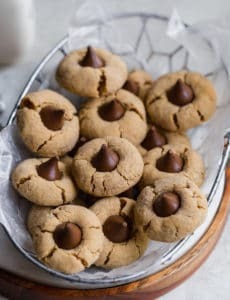 This keeps the cookies from spreading, and ensures that they have a nice thickness to them, while still keeping that buttery flavor. Adding in the shortening and reducing the flour slightly was a winning combination and I have officially ended my search for a good snickerdoodle recipe. 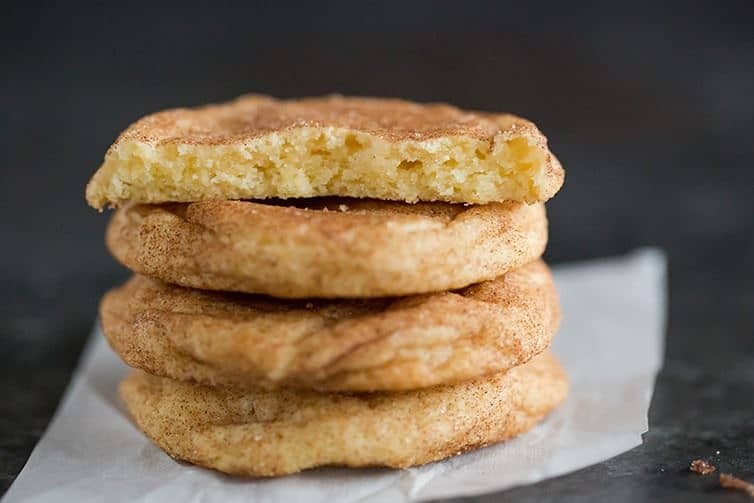 If you’re looking for an easy snickerdoodle recipe that’s soft, chewy, and loaded with a cinnamon-sugar coating, then look no further. 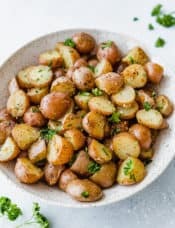 I served these up at a recent Sunday dinners and everyone agreed that they were the best they’d ever tasted. 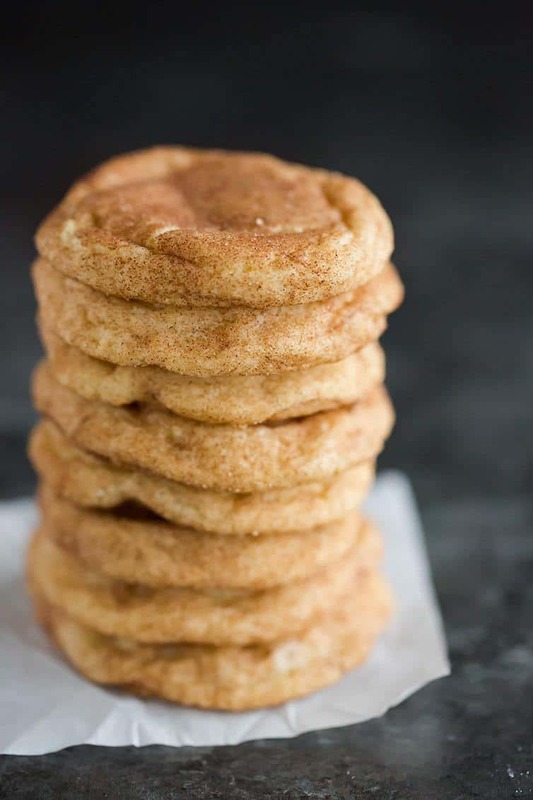 These snickerdoodles are slightly thick, super chewy, and loaded with cinnamon-sugar... a holiday classic! 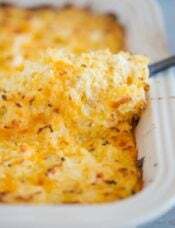 Preheat oven to 375 degrees F. Line 3 baking sheets with silicone baking mats or parchment paper. 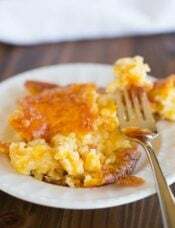 In a medium bowl, whisk together the flour, cream of tartar, baking soda, and salt. Using a stand mixer fitted with paddle attachment, beat the butter, shortening, and sugar together on medium speed until light and fluffy, about 3 minutes. 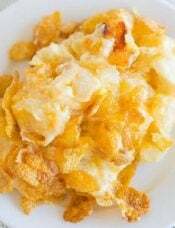 Beat in eggs, one at a time, until incorporated, about 30 seconds, scraping down bowl as needed. 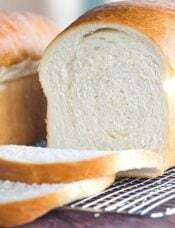 Reduce speed to low and slowly add flour mixture until combined, about 30 seconds. Give dough final stir by hand to ensure that no flour pockets remain. 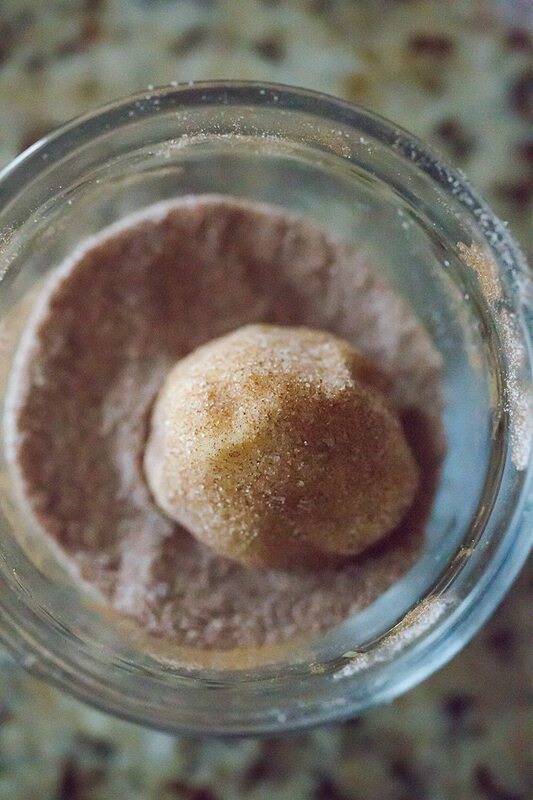 Combine the sugar and cinnamon for the coating in a small bowl or shallow dish. Working with 2 tablespoons dough at a time (or using a medium cookie scoop), roll into balls, then roll in cinnamon-sugar to coat. Arrange the cookies 8 per sheet and bake the cookies, 1 sheet at a time, until the edges are just set and beginning to brown but the centers are still soft, puffy and cracked (the cookies will look raw between the cracks and seem underdone), 8 to 12 minutes. 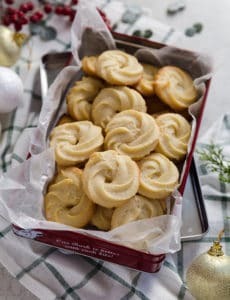 Allow the cookies to cool on the baking sheet for 10 minutes, then transfer to a wire rack to cool completely. The cookies can bet stored in an airtight container for up to 5 days. Raw cookies can be frozen for up to 1 month; bake frozen cookies in 300-degree oven for 18 to 20 minutes.